1. 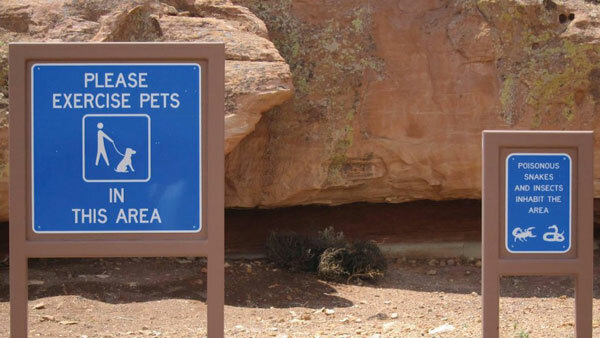 Whoever made this totally reasonable sign. 2. 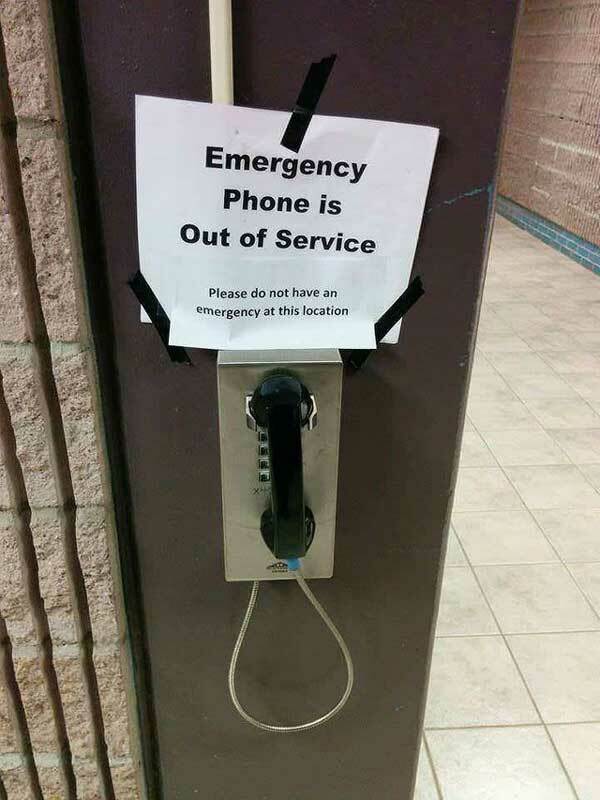 Whoever did THIS to an emergency exit. Emergency “exit” in a friend’s office building. First time they opened it was DURING A FIRE ALARM. 3. 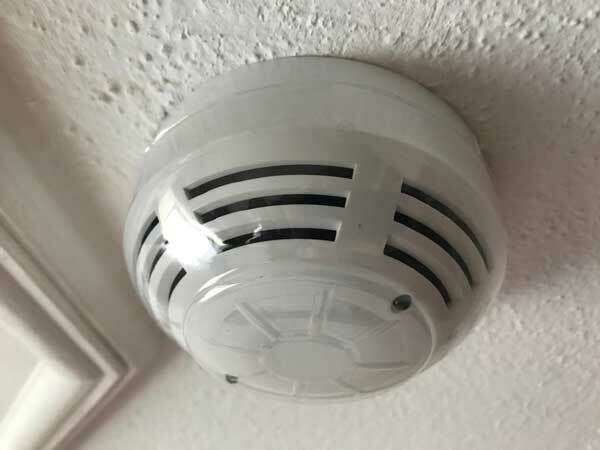 Whoever forgot to take the plastic off this hotel’s smoke detector. 4. 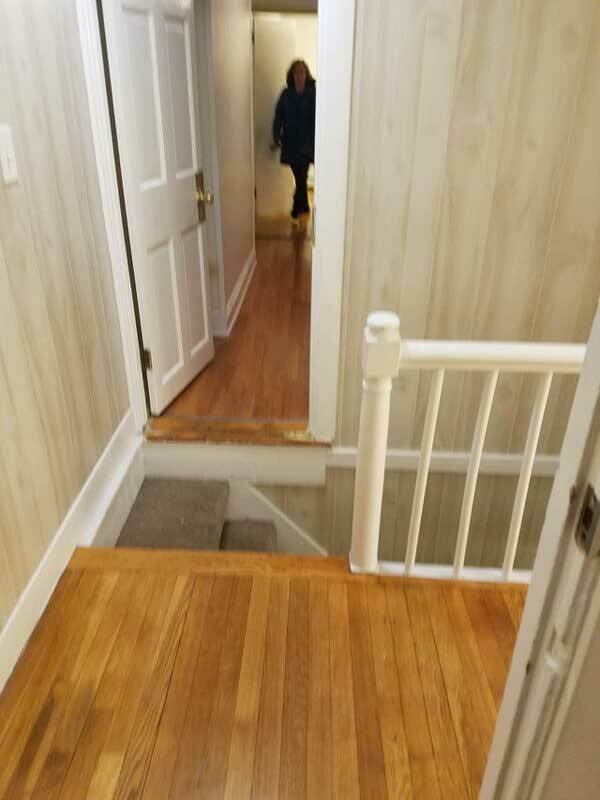 Whoever designed this staircase with a hidden last step. 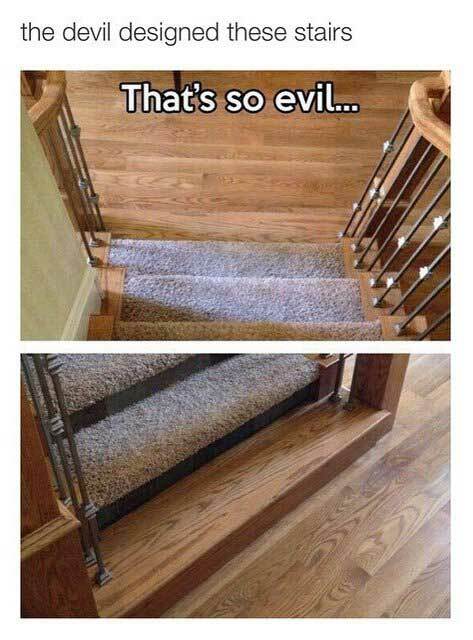 How dangerous these stairs are. 5. 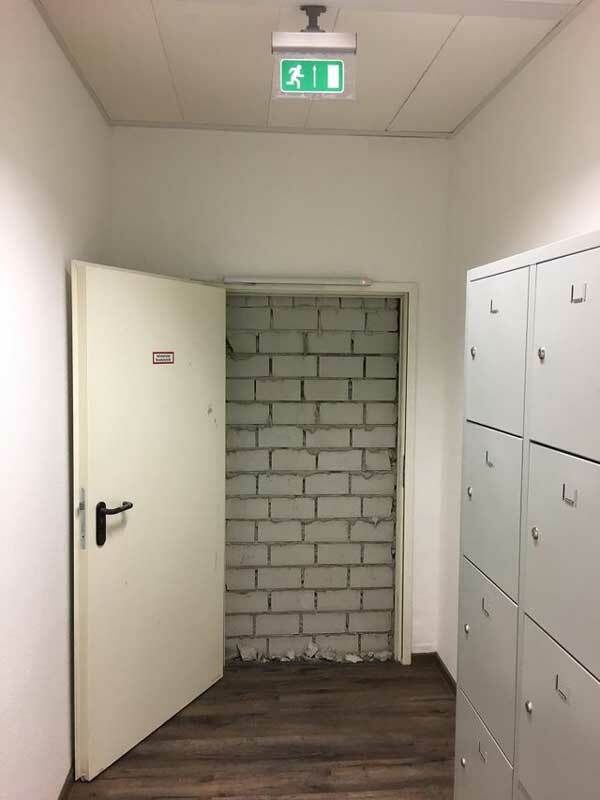 Whoever decided to build this staircase right outside a door. 6. 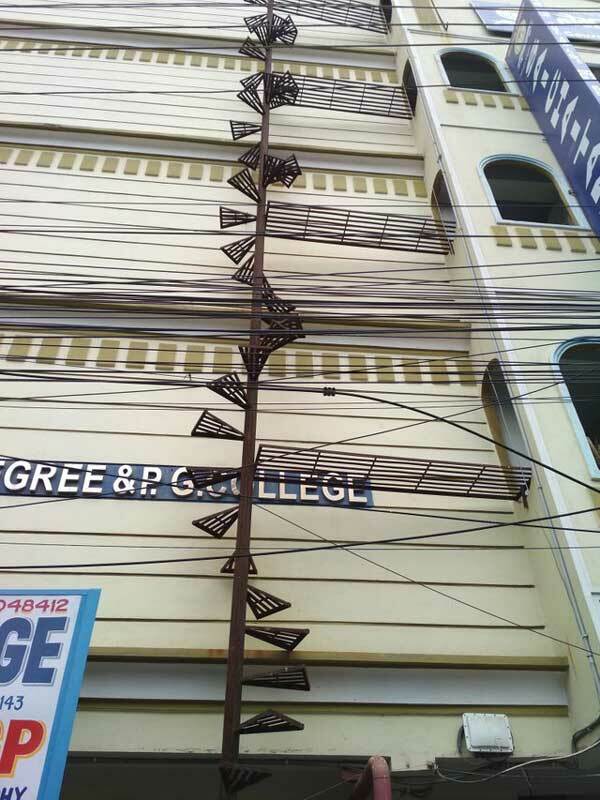 Whoever came up with this nightmare-inducing fire escape. 7. 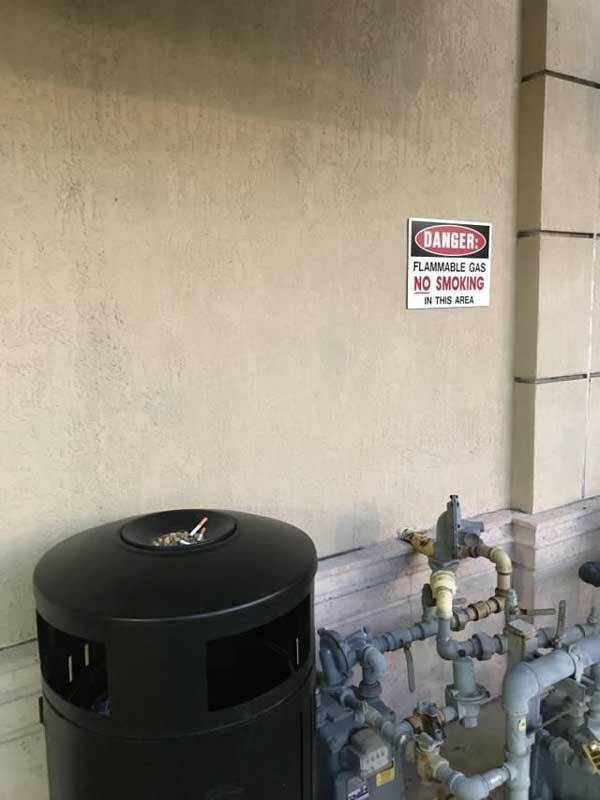 Whoever put an ash tray right next to the “FLAMMABLE GAS: NO SMOKING” area. 8. 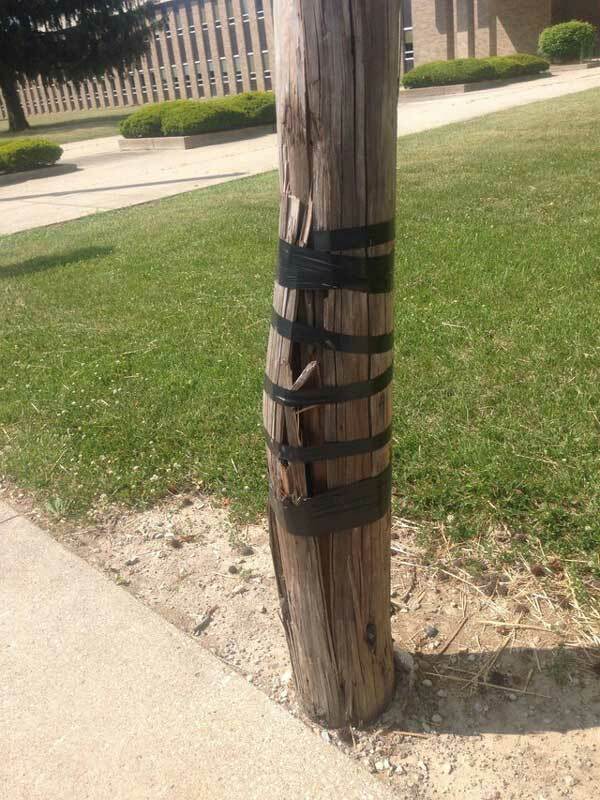 Whoever fixed this telephone pole that was about to fall over with…tape. 9. 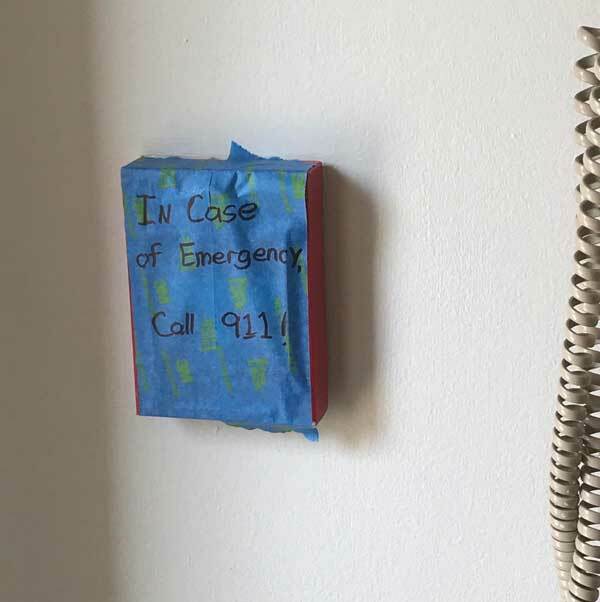 Whoever thought this was a logical substitute for a real fire alarm. 10. 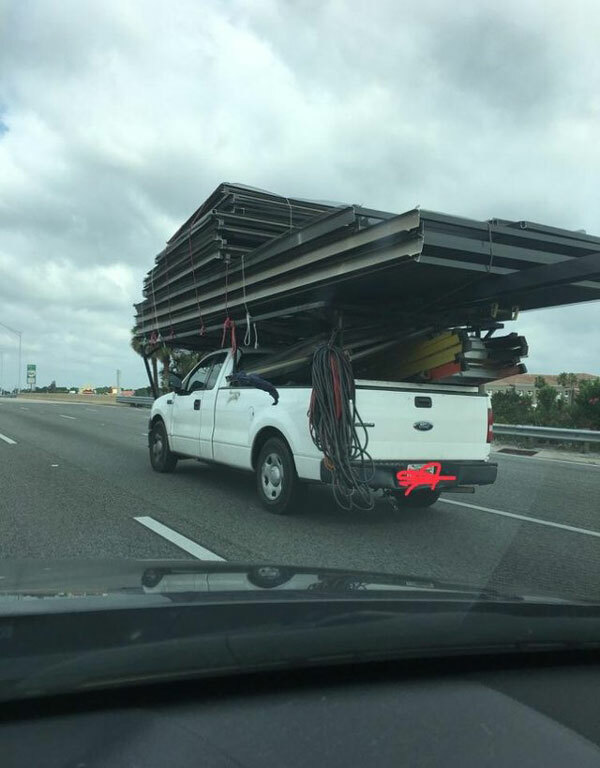 Whoever loaded up this pickup truck. 11. Whoever put these two signs next to each other. 12. 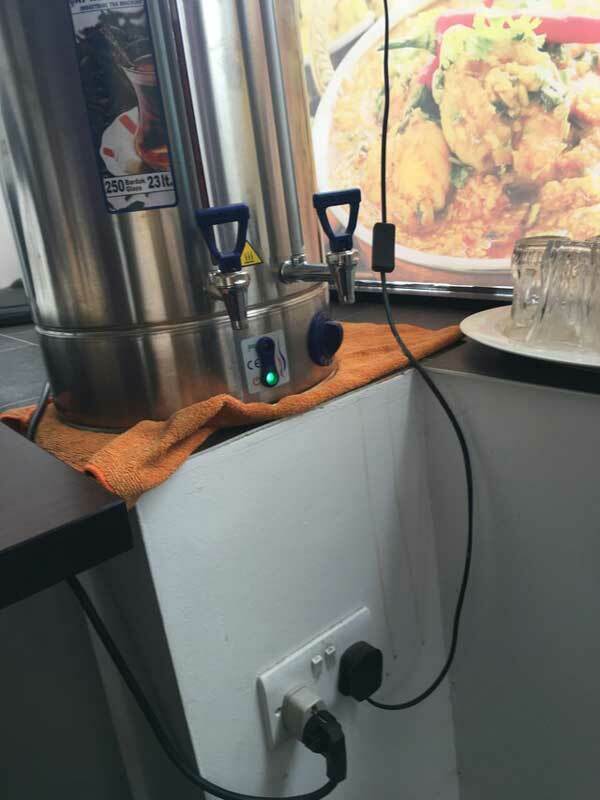 Whoever set up this coffee station right above the outlet that powers it. 13. 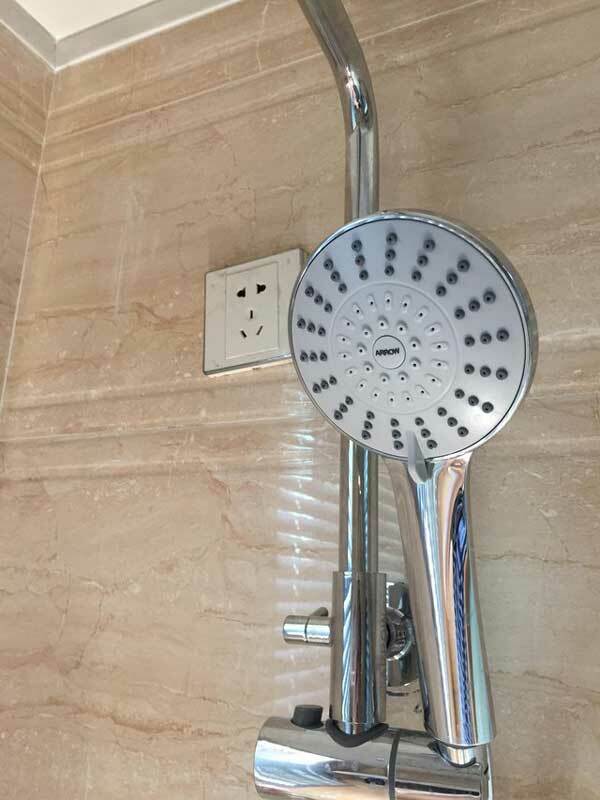 Whoever put this outlet in a freaking SHOWER. 14. 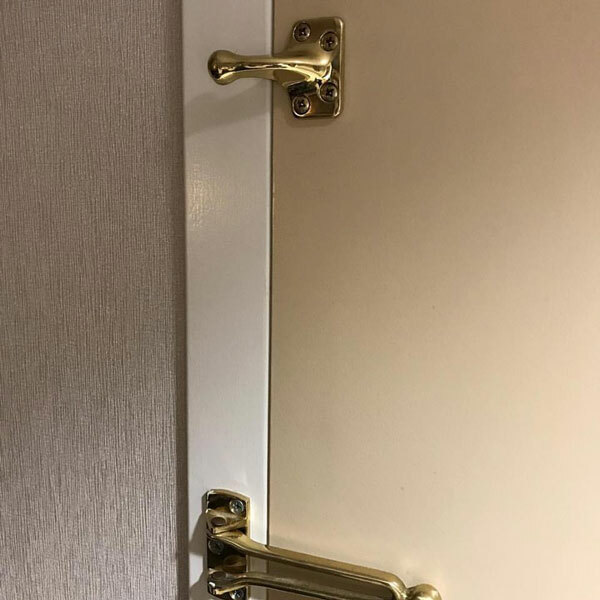 Whoever installed this lock to keep you safe at night. 15. 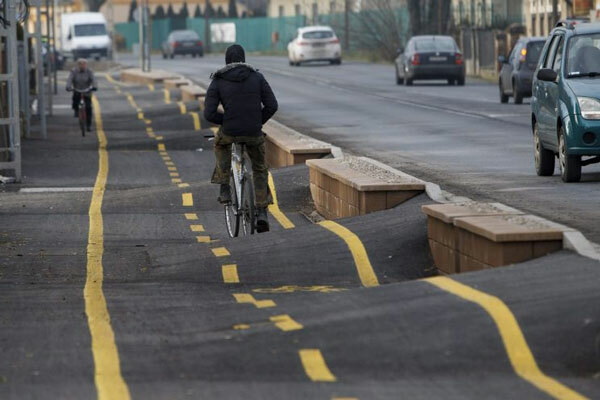 Whoever designed this bike path.